In the rapidly changing craft beer landscape, breeding new hops is a slow crawl. Typically, it can take ten years for a new variety to move from being a promising greenhouse experiment to appearing in a beer for public consumption. One man as well versed in this process as any is Jason Perrault. 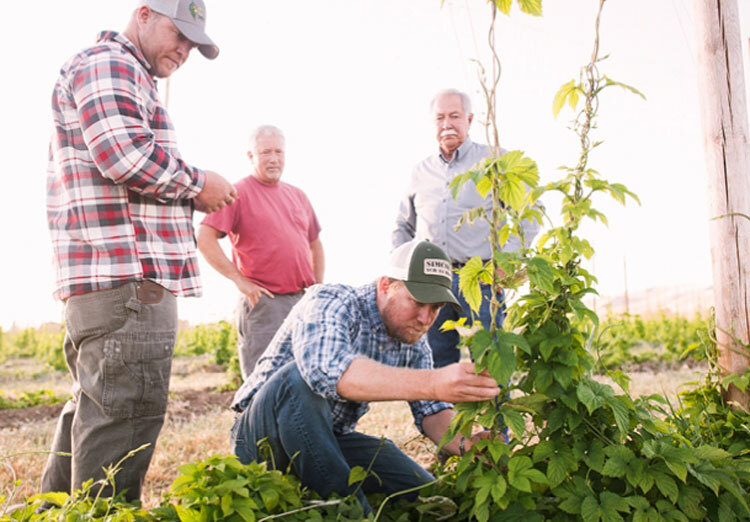 Jason is a fourth generation American hop farmer and also the CEO and head breeder at the Select Botanicals Group, part of Yakima Chief Hopunion (YCH), based in Washington State in the northwest of the US, the country's major hop growing region. Neither of those business names might mean much to you but we're pretty sure that if you're reading The Crafty Pint you're well aware of their products. 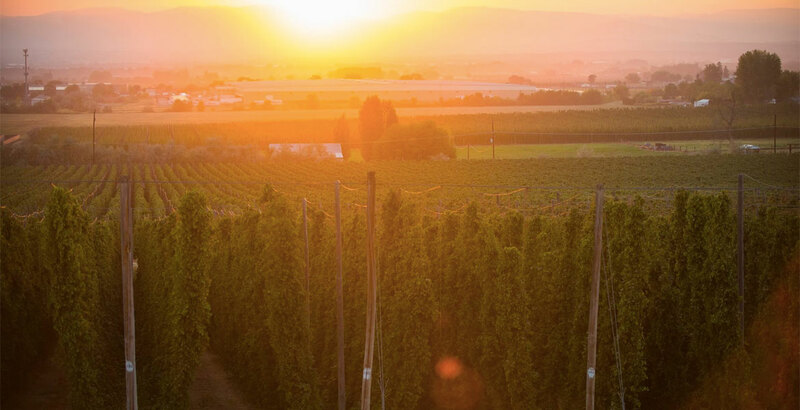 Select Botanicals Group is jointly responsible for some of the world’s most sought after hops, thanks to its partnership in the Hop Breeding Company with John I Haas*. These include the likes of Mosaic, Citra and Simcoe – varieties present in a huge number of the pale ales and IPAs that will have passed your lips in recent years. Yet, while such names are now common parlance among beer lovers across the world, like any new commercial hop variety they started life as one cultivar among many. As with new Australian varieties like Galaxy, Enigma and Melba, their breeders are then tasked to work out which will offer a combination of essential factors such as uniqueness of character, hardiness and yield to warrant becoming commercial crops. And, for someone in Jason’s position, the best outcome is that most of those new hops fail sooner rather than later. Those hops that make it past the first stage are then sent to larger plots, where a similar fate awaits them. Over the next six to seven years any hop varieties that are unlikely to develop any sort of commercial viability are removed from the breeding program. By year ten, only an “elite line” of hops remains. It’s during those last few years that the team at Select Botanical Group sends samples of new hops to nearby brewers. The hope is that once those new hops are ready for full scale production there will already be a level of interest in the market. Jason Perrault, head breeder at Select Botanicals Group, inspects a young hop bine. It's the same process that's operated by Aussie based operations Hop Products Australia and Ellerslie Hop. Readers may have sampled beers featuring as-yet-unreleased variety HPA-035 from the former, while the past couple of harvests have seen a handful of beers appear featuring Astra from the latter. Meanwhile, this weekend will see Bridge Road Brewers showcase some small batches of beer made with experimental hops even earlier in the development process at High Country Hops. While very little can be done to reduce the time it takes to breed new hops, the global rise in craft beer has made life easier for the likes of Jason. With craft brewers being more creative and innovative, unique hop varieties are now more widely accepted in the beer industry. The US hop Cascade is a clear example of this change. Although Cascade was bred in the 1950s, it wasn’t used by commercial brewers until the late 1970s. Today, it is one of the main US aroma hops, thanks in a large part to Sierra Nevada’s Pale Ale. Compare that to Mosaic, which, despite only being first released in 2012, has already become ubiquitous in craft beer circles. The fact that Mosaic became popular so quickly is not only a testament to the hop itself, but also shows how eager modern brewers are to embrace new hop varieties. YCH has developed other ways to satisfy voracious brewers' appetites too. The company has been producing hop blends: pellets sold to brewers that feature a mixture of hop varieties they believe are suited to particular types of beers. Some readers may remember Falconer's Flight hitting the market a few years ago; it was a blend of five hops created in tribute to a legend of the Northwest brewing scene, Glen Hay Falconer. Now there's a new blend on the market: Fortnight. And it's one with an Australian genesis, having been created for and with Pete Meddings, founder of Victoria-based ingredient supplier Bintani. 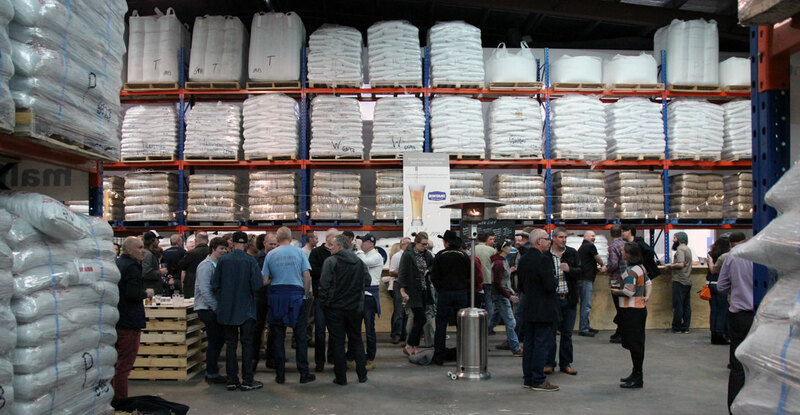 Ingredient supplier Bintani's Melbourne warehouse during their annual Good Beer Week industry open day. “The interesting thing about doing a blend like [Fortnight] is you are taking the best of all those different varieties and accomplishing something that may take a decade or more through breeding,” says Jason. The name Fortnight is a tongue in cheek cross-cultural reference: Americans don't use the word favoured by Aussies and Brits. As for the blend itself, like Falconer's Flight, it again features five different varieties, with the aim being to create something greater than the sum of its parts. “We had some really great support from the guys from YCH to make this happen and it’s been really exciting,” says Bintani’s Dale Meddings, one of Pete's two sons working in the family business. “What YCH has put together has been something pretty special. “The aim was to try and produce something that hit multiple flavour points so that no one flavour stood out and I think we definitely got that right." With trends changing so rapidly in the industry, it’s impossible to predict what types of beer people will want to drink in ten years. Thus Jason says that the only way to try and stay current as a hop breeder is by having a wide breadth to offer. This goes beyond characteristics too; YCH has recently released Cryo Hops, a product made up of lupulin powder and de-bittered hop leaf that's been trialled in local beers such as Feral's Hop Hogan. This desire to satisfy the diverse beer industry means that, while Select Botanical’s most famous hops may be associated with pale ales and IPAs, the group continues to make new hops for a variety of beer styles. Jason believes those hops are just as important as the ones that have made the Yakima Valley famous and he speaks excitedly about all the varieties he’s worked on. His passion is obvious, particularly when he talks about those hops currently in the elite stages of breeding: one gives off the biggest grapefruit aroma he’s ever come across; another produces flavours and aromas he says are normally reserved for barrel aged beers. For Jason, hop breeding is still in its infancy and the new varieties coming out of Washington State show no signs of slowing down. “I think we are just starting to scratch the surface of what hops can contribute to beer,” he says. Photo of a YCH hop farm at top taken from YCH's Facebook page. *The original article didn't mention Select Botanicals Group's partnership with John I Haas in developing new hop varieties, an unintentional omission we're more than happy to correct.